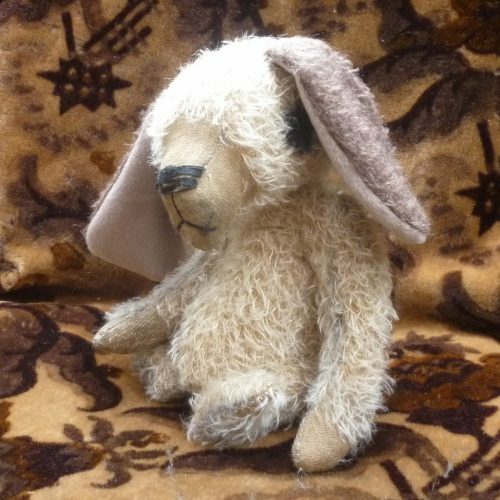 Frank is a spaniel, made of distressed, short pile, off-white mohair set on beige backing cloth. 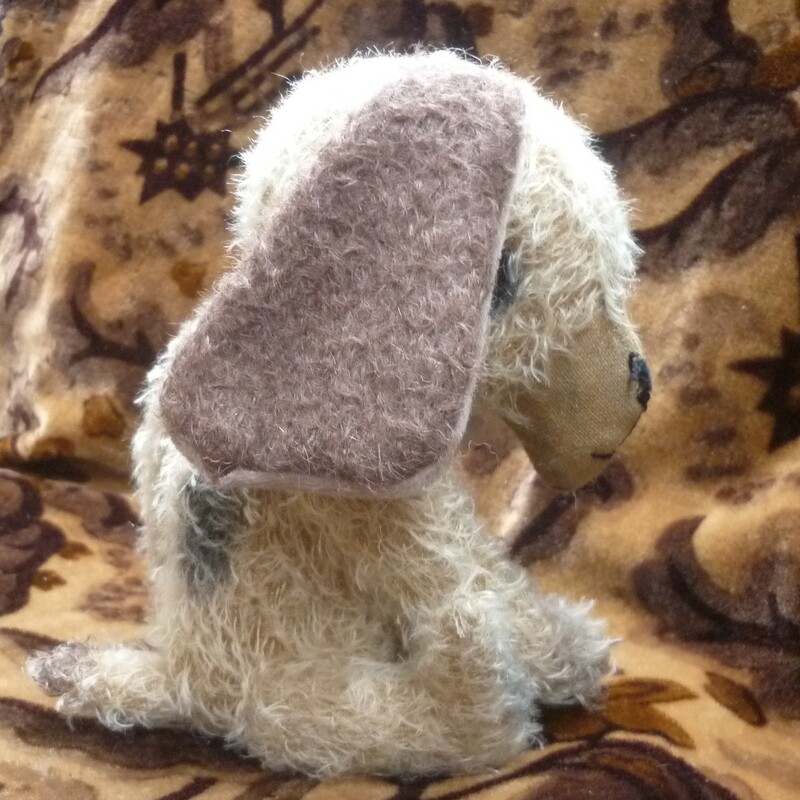 His ears are lined with velveteen and he is traditionally filled with wood shavings, with sand added for weight. 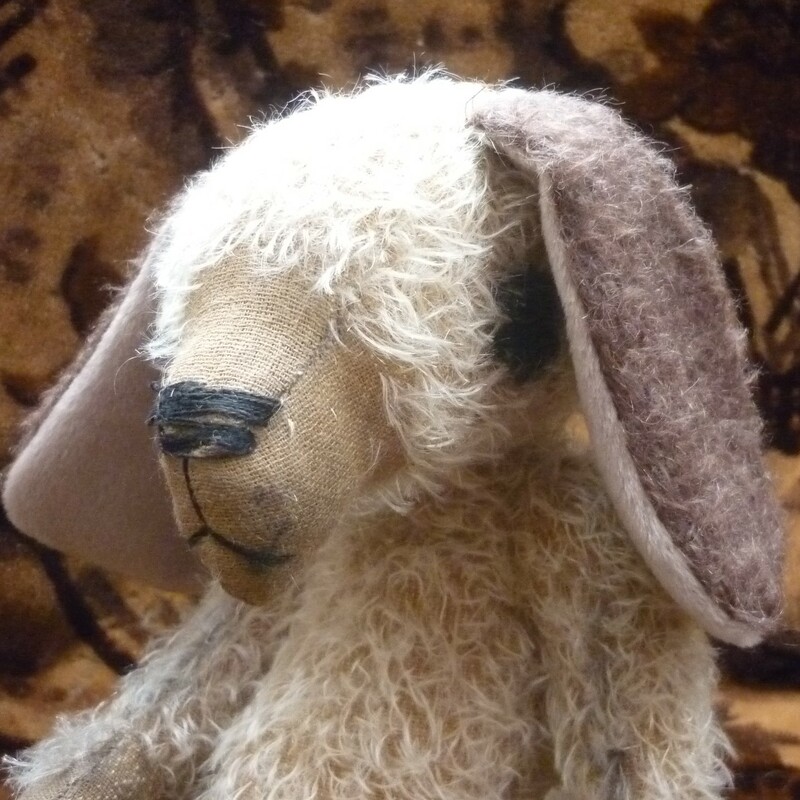 He has hand-painted detail around his black glass eyes, a skip-stitched nose and reverse mohair hand paws.